#62 (Prod #166274) "FULL CIRCLE"
Finally the journey ends but then again it doesn't and won't until, as Caine says, "it comes full circle at my death." 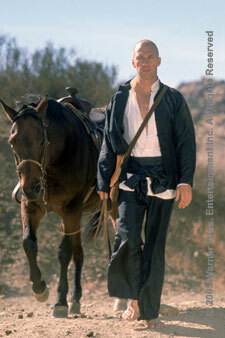 Caine does ride a horse in this episode, though he apologizes to the horse first. At the end of the episode, Caine even seems to take a sip of wine.